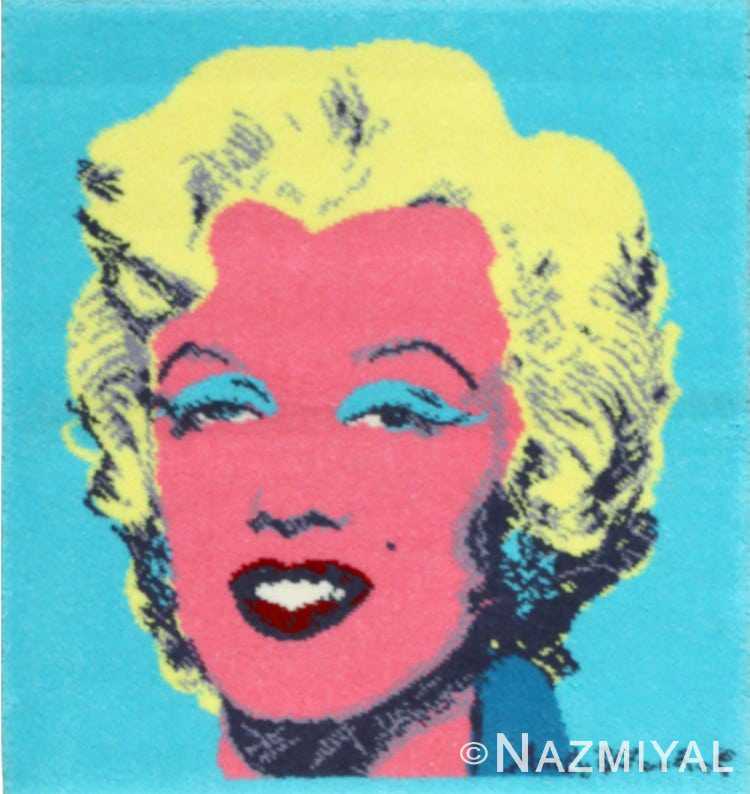 This striking vintage rug depicts one of Andy Warhol’s famous renditions of Hollywood icon Marilyn Monroe. 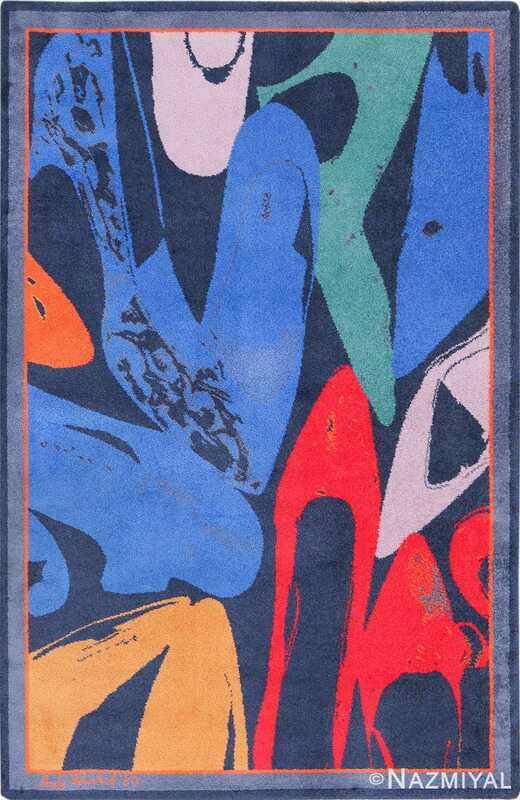 Beautiful Andy Warhol Marilyn Monroe Rug, Country of Origin: Scandinavia, Circa Date: Mid-20th Century – This Andy Warhol Marilyn Monroe rug beautifully showcases Warhol’s distinct style. Warhol was, without a doubt, an influential force in work of art during the second half of the twentieth century. At this point, there is little that hasn’t been said of Warhol. A household name in his own lifetime, Warhol was largely responsible for elevating icons and images of popular culture into the world of “high art.” One of Warhol’s favorite subjects was Marilyn Monroe. Andy Warhol once famously remarked about Marilyn Monroe, that he simply painted ‘things that he liked’ – a subject he painted over and over again, in a myriad of styles. This particular composition features a pink-skinned, blond yellow-haired Marilyn Monroe set against a baby blue background. The pastel of the pallet reinforces Warhol’s treatment of the subject, the proportions and line work of which are evocative of 1970’s psychedelic art. This subtle reintroduction of a pop culture icon from one time to another is emblematic of Warhol’s greatest strengths as an artist and social commentator.